She's often commented on for her pretty face and her fresh persona, but ABS-CBN star Liza Soberano has proven her acting chops time and again with the roles that she plays in her telenovelas and movies. Here, we take a look at her body of cinematic work as we look forward to her future projects. Her TV transition to film was an easy one, as her first movie foray followed on the coattails of the high-ratings of the drama series Forevermore (2014), in which she co-starred with Enrique Gil. The LizQuen love team proved so popular that they were soon cast to portray the lead characters in the film adaptation of the Wattpad story,The Bet. The Bet, which was renamed Just The Way You Are (2015), is a rom-com about a popular guy making a bet with his friends that he can get the nerdiest girl in school to fall in love with him in 30 days. In the process, he ends up falling in love with her instead. The movie earned P12 million on its opening day, and after a couple of weeks of showing, Star Cinema's Advertising and Promotions Manager Mico del Rosario posted on his Twitter account that as of June 29, 2015, it earned over P100 million. While the theme song of Just The Way You Are is a remake of the OPM pop classic "Just A Smile In Your Heart" by Harana, Liza and Enrique recorded their cover version of the Bruno Mars hit with the same title as the movie. Because of the success of Forevermore and Just The Way You Are, The 47th Guillermo Mendoza Memorial Scholarship Foundation Box Office Entertainment Awards (GMMSF-BOEA) awarded Liza and Enrique as The Most Popular Love Team of TV and Movies for 2015. They were also hailed as the Box-Office King and Queen in May 2018 by the same award-giving body. Their love team's sophomore attempt at the movies, Everyday, I Love You (2015), was another rom-com/drama that puts their kilig-worthy LizQuen tandem to the fore. The film, which was shot primarily in the City of Smiles, Bacolod, is about finding your soulmate. Here, Liza plays Audrey, a romantic young woman who waits for her fiancé Tristan (Gerald Anderson) to wake up from his coma. While on her usual forays in the charming old city, she meets and falls in love with a brash and highly-driven TV personality Ethan (Enrique). She struggles between choosing the man of her dreams, and the man who makes her dreams come true. The movie, which was directed by Mae Cruz-Alviar, was another box-office success, earning P16 million on opening day. After less than two weeks, it earned P100 million. The total worldwide gross is P178,739,010 after three weeks. LizQuen fans came full force for the promotion of Everyday, I Love You. Their Twitter campaign, with the hashtag #NATIONALILOVEYOUDAY, trended nationwide. It gained so much traction that it gained worldwide attention, reaching the number one spot in several lists, and ultimately garnered more than 3 million tweets. It trended in 62 countries, with Hollywood and international celebrities/institutions such as USA Today, MTV, Star Wars, SNL, NBC, Harry Styles, Miranda Kerr, Antonio Banderas, and Zoe Saldana tweeting their own "I love yous." LizQuen's third movie, My Ex and Whys (2017), is about a womanizer named Gio (Enrique), who tries to prove he's worthy of a second chance to his former flame, a blogger named Cali (Liza). Cali tries out all these tests on him, but things just don't go as planned. The film, although criticized as too formulaic by some, was released post-Valentine's in 2017 to commercial success, grossing over P400 million worldwide. It is said that My Ex And Whys is Cathy Garcia-Molina's highest grossing non-sequel film and it is the highest-grossing film to be starred by the LizQuen loveteam to date. "To be honest, starting this movie, I did not expect it to be a huge, huge hit," Enrique admitted during the thanksgiving party for My Ex and Whys. He revealed to ABS-CBN News that he felt underwhelmed with the movie's plot. "Nung una hindi ako na-excite. But sometimes the purity of the story, that's what captured a lot of people. So para sa akin I didn't expect it to be this good and this amazing." 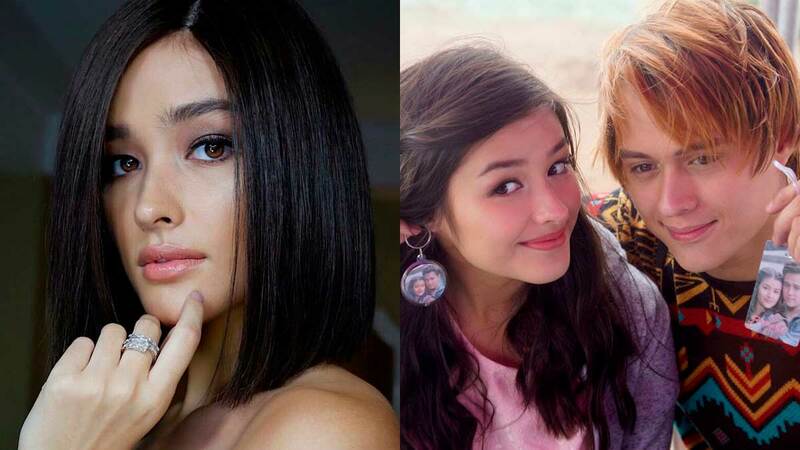 In the same interview, Liza turned emotional when she opened up about the difficulties she had in portraying the role of a teen girl in a relationship with an unfaithful partner. She thanked Molina for sticking with her despite her shortcomings. "I always like to say that direk is one of my biggest mentors when it comes to acting. I basically started with her, doing Got To Believe (2013). Then we worked on Forevermore and this movie." "She never gave up on me even during the times I felt like I couldn't give my best. When I felt I wasn't delivering what she wanted me to deliver, she was there," she said of the director. Before their launching movie Just The Way You Are, Liza and Enrique appeared in supporting roles in the Dingdong Dantes-Bea Alonzo starrer She's The One (2013). Initially, Enrique's character falls for Bea's but in the end, LizQuen has their happily ever after, along with that of Dingdong's and Bea's. Liza was also cast in Must Be… Love (2013), as part of a love triangle between her character and the ones played by the lead stars Daniel Padilla and Kathryn Bernardo. The latest Darna reboot has taken so long to be released that people have started wondering whether or not it will really push through. Angel Locsin was originally cast as the iconic Philippine superheroine, but the role was passed on to Liza in May 2017 after Angel suffered a spine injury. It is said that the cast is now complete, but sans Enrique, who was supposed to be one of the characters in the film. During a press-con for the fantaserye Bagani (2018), Enrique said that he was approached for a role in Darna and even attended a story-con, only to be told that another project would be waiting for him. Liza told PEP.ph that she already shot her Narda scenes for the Erik Matti-directed movie, and that they were told that their love team will have another project soon.